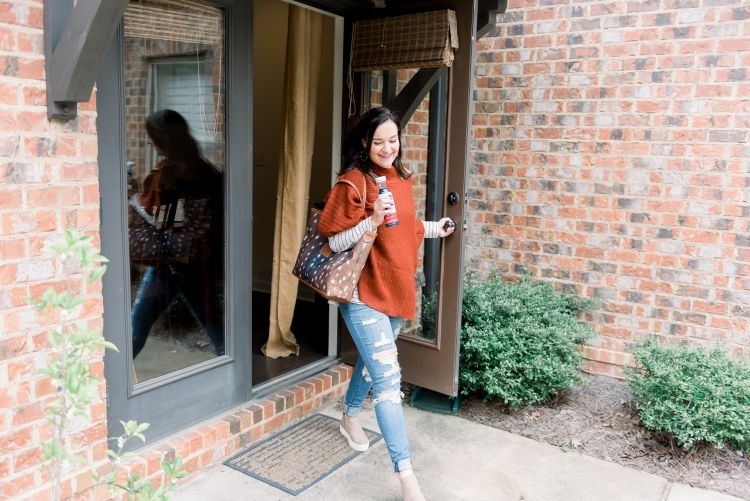 Thank you to Red Diamond for partnering with me on this post! UPDATE: Head to the Facebook group to see my LIVE sharing the week of 11/18’s workouts! Happy WEEK 2 of the Holiday Honey Hustle challenge! If you are just joining us, no worries! 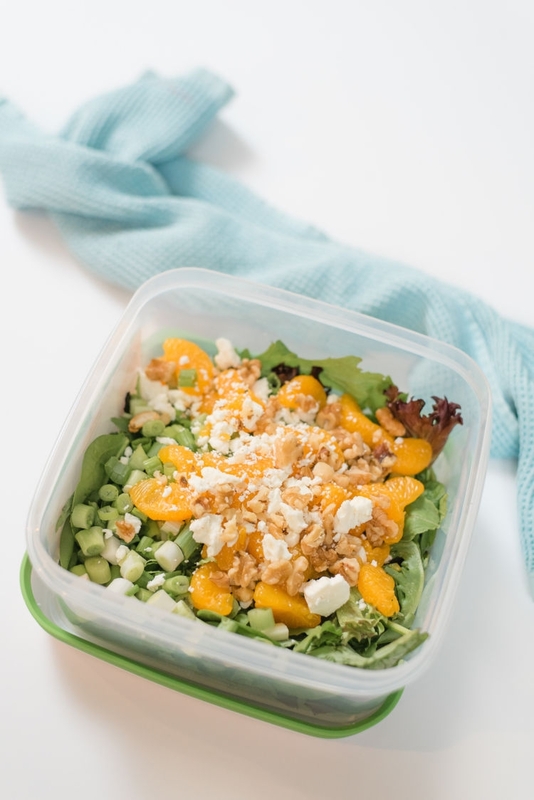 It is never too late to make healthy choices 😉 Over the next 6 weeks, we are focusing on staying on track with healthy eating, exercise, water intake, and very little sugar. I believe a healthy lifestyle is all about balance and focusing on our health and fitness now will help balance out those extra splurges over the holidays! 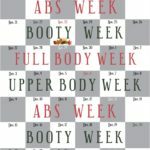 If you missed Week 1, be sure to go here to read about our weekly goals, accountability, and how you can win the big giveaway at the end of the challenge! Make sure you are sharing your workouts, meal prep, and anything challenge-related with the hashtag #HolidayHoneyHustleChallenge for extra entries! If you want to join our exclusive Holiday Honey Hustle Facebook Group, click HERE! 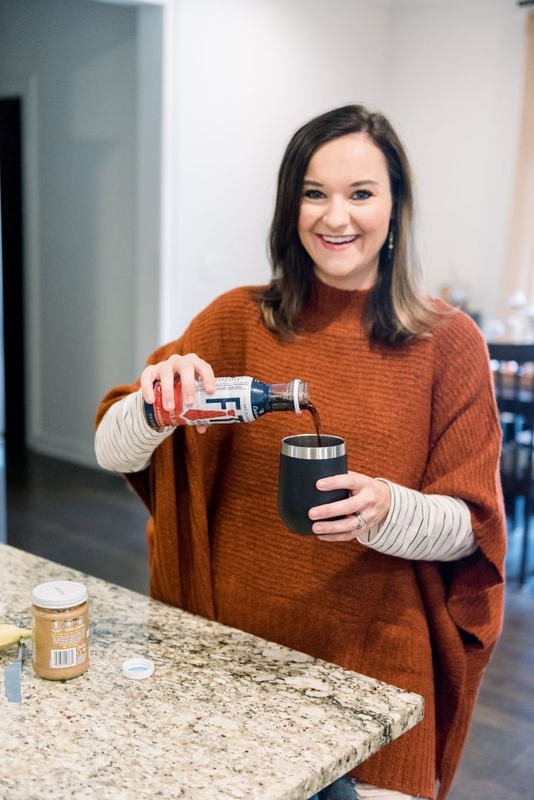 Also, be sure to hop on over to Jessica’s blog, Happily Hughes, and Laura’s blog, Walking In Memphis In High Heels, to see their Holiday Honey Hustle content! 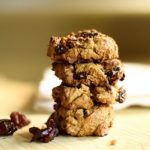 This week I am sharing a sample healthy meal plan that is perfect to follow during the Holiday Honey Hustle challenge! This is what I try to stick to during the week and what seems to work for me with my schedule! My days look a little different than usual while I am on maternity leave and you can read about what a day in my postpartum life looks like here. Whether on maternity leave or not, I always start with coffee! 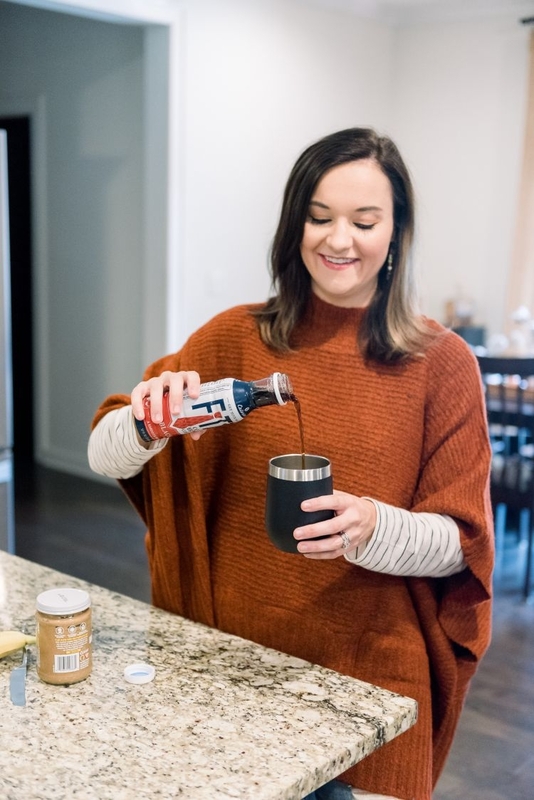 If I am brewing hot coffee, I love making this Paleo Cinnamon Vanilla Latte but I have recently been grabbing Red Diamond’s new Fitz Cold Brew Coffee! Hello easy and quick! These are perfect for when I am running out the door late, which is pretty much a regular thing with a toddler and newborn! 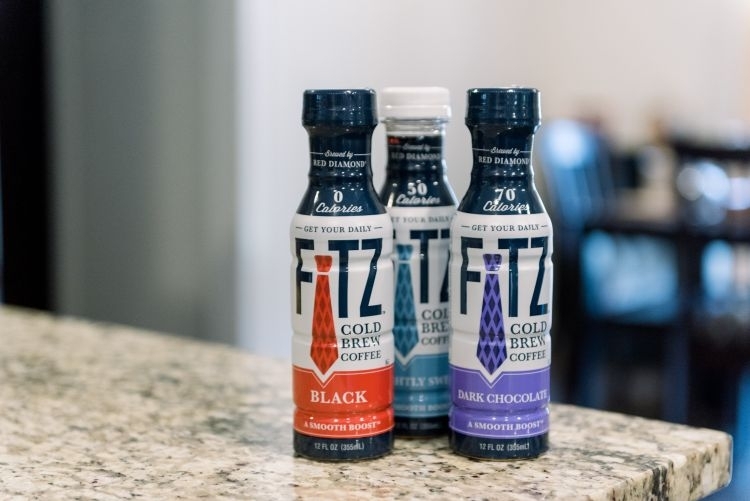 The Fitz Cold Brew Coffee is available in 3 flavors – black, slightly sweet, and dark chocolate! What I love is they are 100% coffee (YAY for no weird additives!) and are gluten and dairy free. You can go here to find a retailer near you with the cold brews available in store. I picked mine up from my local Target! 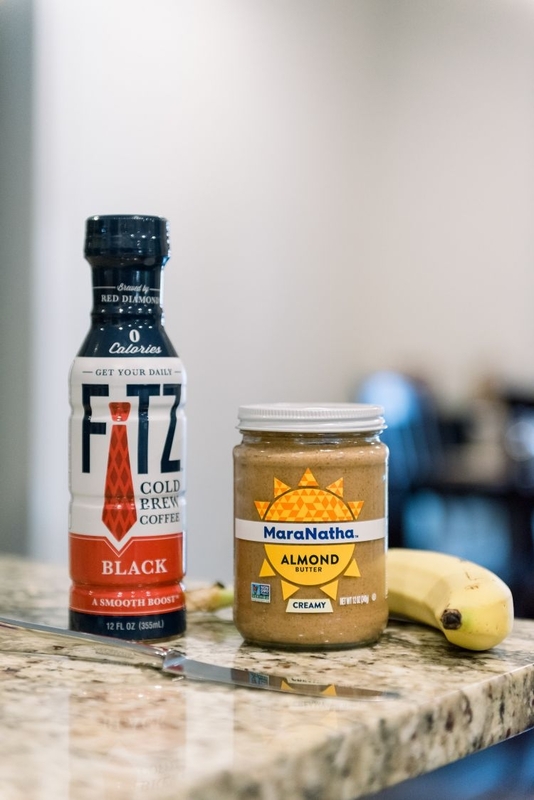 Paired with my Fitz Cold Brew Coffee in my sample healthy meal plan is my go-to banana + almond butter! 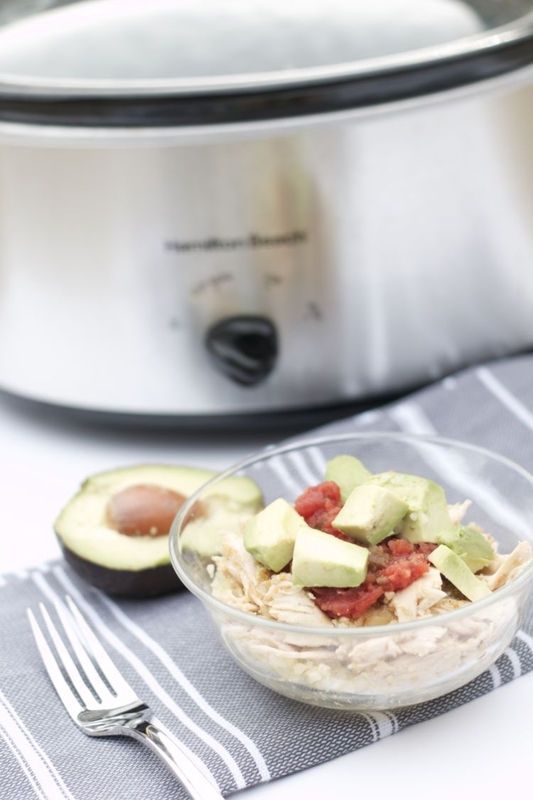 This is a long time favorite breakfast option that is quick and filling! 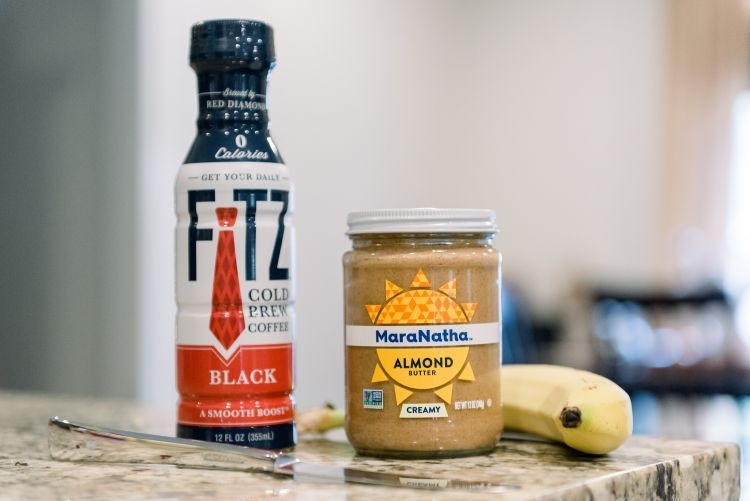 You hear me talk about this breakfast combo a lot during Whole30. Another favorite breakfast recipe is this Paleo Breakfast Casserole, which is great to meal prep on Sunday to have ready to go in the mornings! At this point in my day, I am either dropping off Leyton at Mother’s Day Out, at Pure Barre, or at home with both boys. 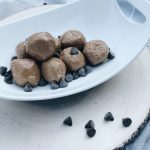 I typically am satisfied until lunch time but if I need another snack, especially while breastfeeding, I love snacking on the Peanut Butter Balls Recipe I shared last week! Now that we’ve discussed ideas for a sample healthy meal plan, let’s get moving with this week’s workout! We are focusing on BOOTY and all the squats! For extra burn, try pairing the squats and the planks from last week. If you are feeling feisty, add in a squat + kick! I hope you are enjoying the Holiday Honey Hustle! 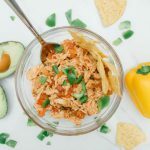 Tag me if you try this sample healthy meal plan or any of the recipes included in this post and let me know if you enjoy it! 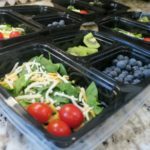 Pin the Sample Healthy Meal Plan Post for Later! Next Post THE BEST LASHES DEAL EVER!